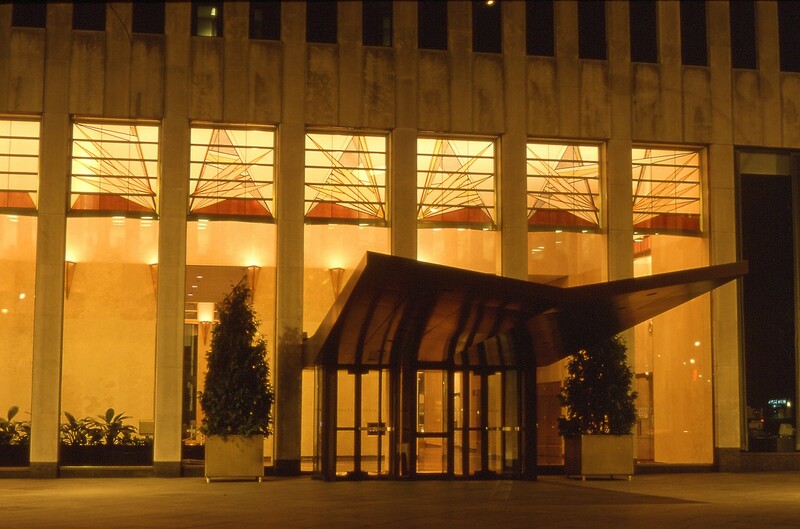 For 20 years 1251 Avenue of the Americas in New York City was known as the Exxon Building, the center tower in Rockefeller Center West. 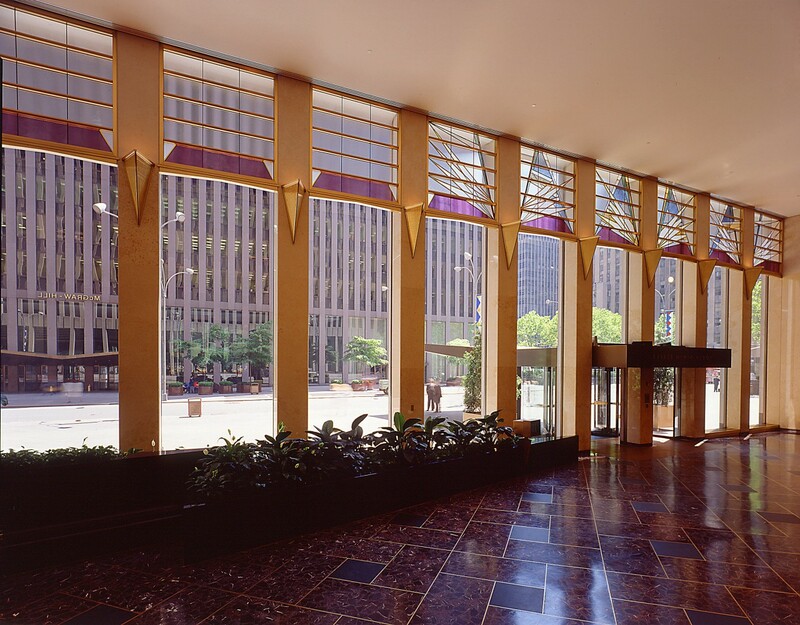 When Mitsui Fudosan, world’s largest real estate company, bought the building in 1990, they embarked on an ambitious capital improvement program budgeted at $50 million, a sum equivalent to the cost of constructing a new 20 story Manhattan tower. 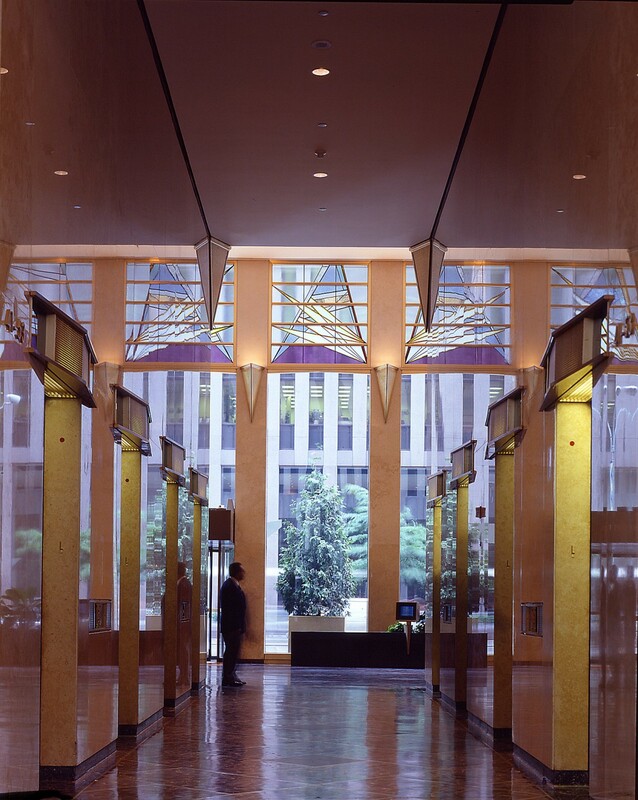 Included in the program were renovation of the grand lobbies with lower ceilings and various features intended to “humanize the scale and reflect the new era”, according to Mitsui’s New York vice president Gregory Sutherland. 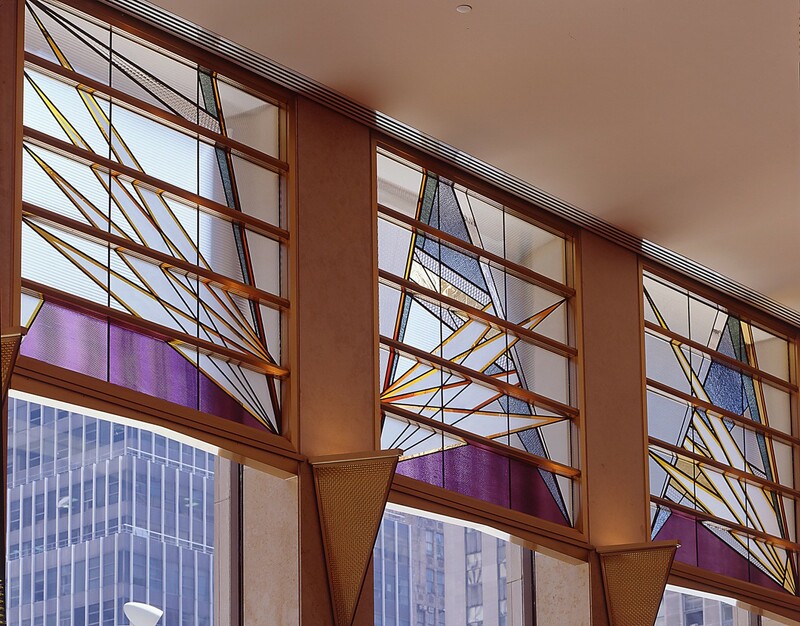 “It was critical that our facilities work for the tenant of the 21st Century.” An essential feature of the new lobby design was a series of seven foot high and 400 foot long leaded glass screens capping the ground floor glazing and focusing on the four entries. 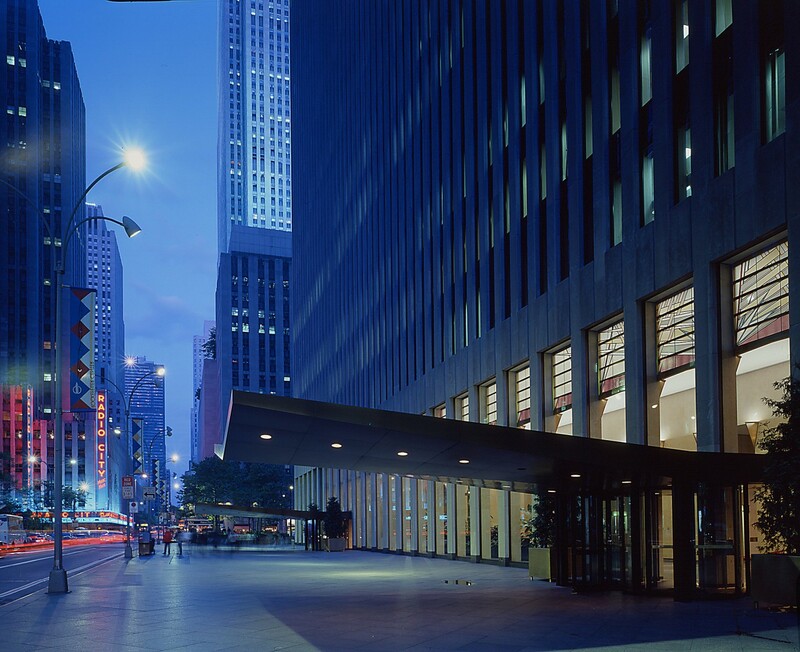 The Art Advisory service of the Museum of Modern Art assisted in a year-long international review of artists, culminating in Carpenter’s selection. 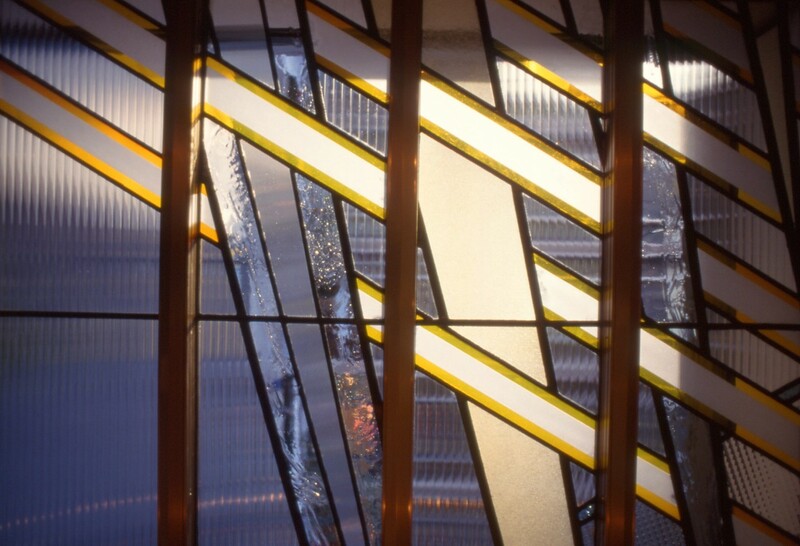 Materials: Leaded rolled and hand blown glass.